Around an hour from Puerto Escondido, Ventanilla is our favorite place to take visitors. It is a small community which makes its living through ecotourism. For a $100-peso contribution you can take a boat ride in the crocodile filled lagoon and stop on an island that includes other protected species, like red-tailed deer. Be sure to wear a hat for the sun and don’t forget your camera! 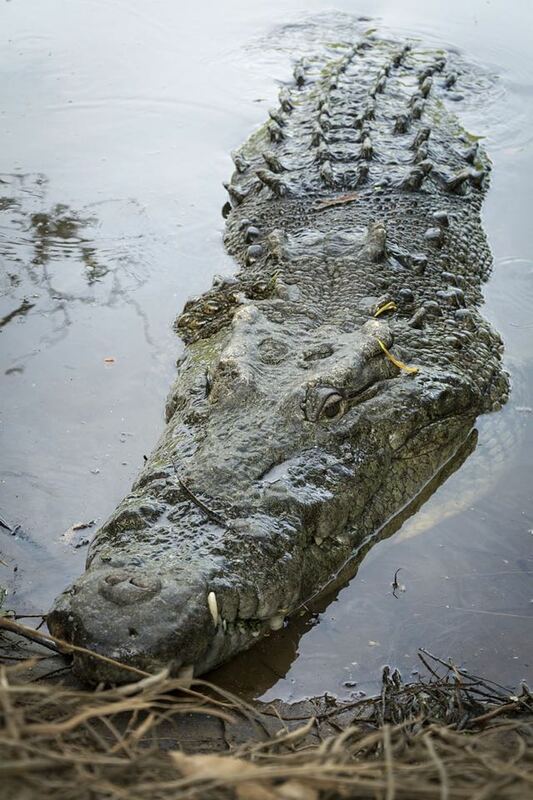 Sometimes you don’t have to go any further than the Regadío lagoon on Playa Marinero to spot a crocodile. 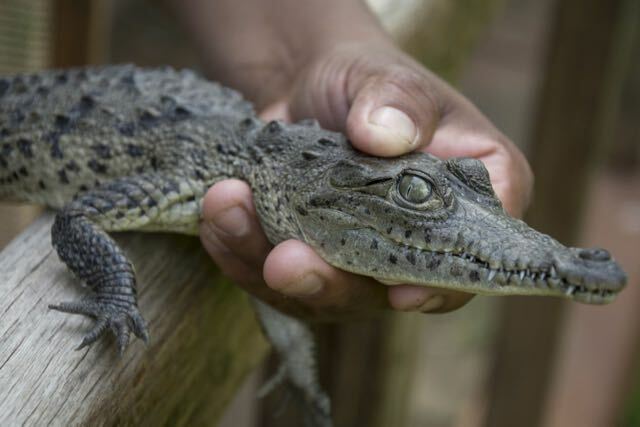 They are also found in the river in the Barra de Colotepec and in the protected wetlands that parallel the coast. 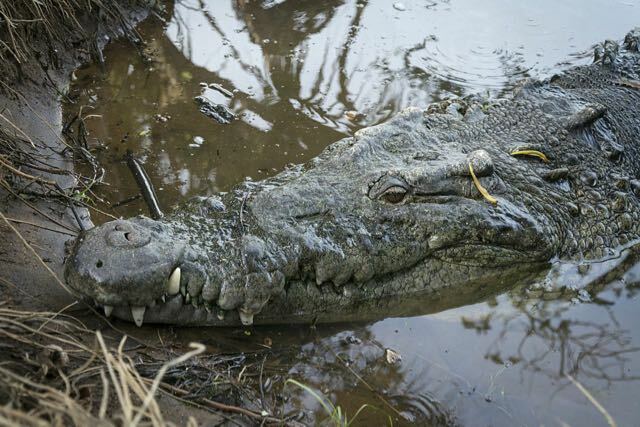 An American crocodile (the species found in Mexico) eats small fish, reptiles, birds and mammals; i.e. just about anything that moves. It can chase its prey on land at a speed of up to 10 mph, but only for a short time. 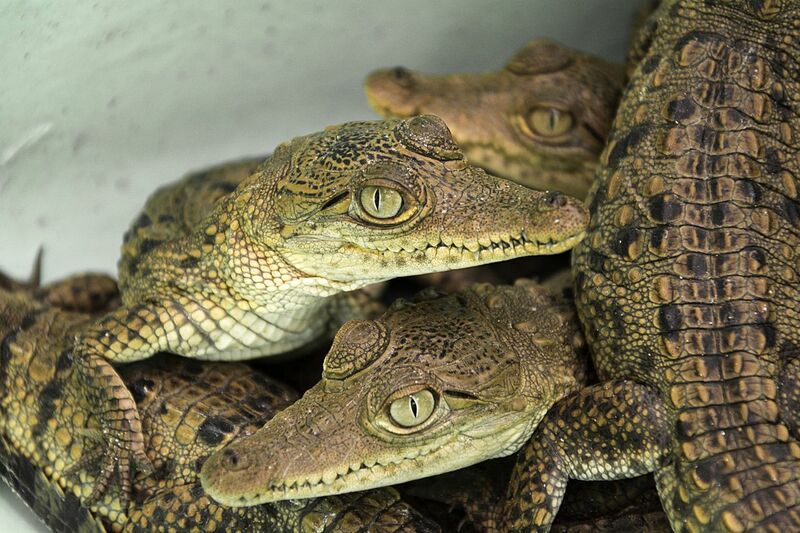 Crocodiles can replace each of their 80 teeth up to 50 times in their 35- to 75-year lifespan. Next to each full-grown tooth is a small tooth ready to take its place and a dental stem cell that can be activated if required. —Wikipedia. To get to Ventanilla, take Highway 200 towards Pochutla to the San Antonio turn-off for Mazunte, next to the OXXO. Continue 4 km and take the turn-off for Ventanilla on the right hand side. When you get to the end of the paved road, the tourist information module is located on the left just before the beach. For more info go to www.laventanilla.com.mx.